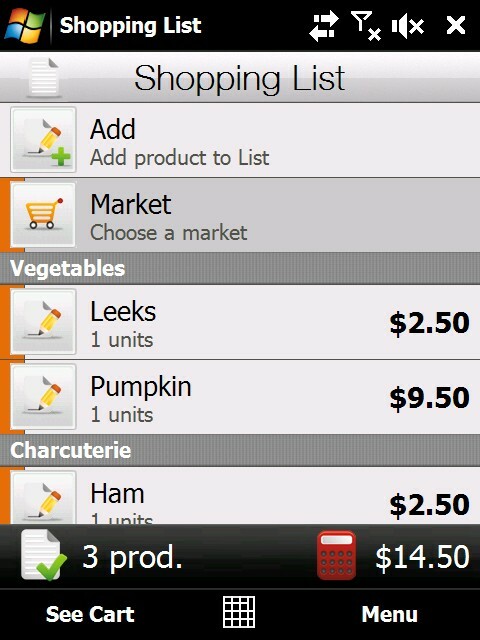 MiCarrito helps you manage your shopping list in an easy and intuitive way.Sort your shopping list by product categories. Create recipes defining their ingredients and add the ingredients in a recipe directly to the list. Once in the supermarket, you can move the products from the list to the shopping cart/trolley as you put them into the cart. As you fill your cart, you will be able to see how many products are in it and how much money your shopping costs. For each product you can select the unit of measure and its price; and see the quantity that you’ve bought of that same product lately. 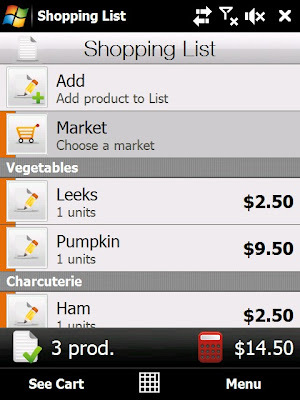 - Manage your shopping list in an easy and intuitive way. - Add all the ingredients in a recipe to the list in a couple of clicks. - Once in the supermarket, you will know exactly how many items there are in your cart. - Quickly synchronize, export and import your data. - Finger-friendly and easy interface. Localized in English, Spanish, Russian, Deutsch, Polish, Italian, Portuguese, Swedish, French, Hebrew, Danish, Korean and Chinese. - Fixed bug related to textboxes and compact qwerty or phone keypad.